Online submission managers have revolutionized how writers submit work to literary journals. Nowadays, with just a few clicks of your computer mouse, your writing is instantly whisked into the queues of waiting editors. 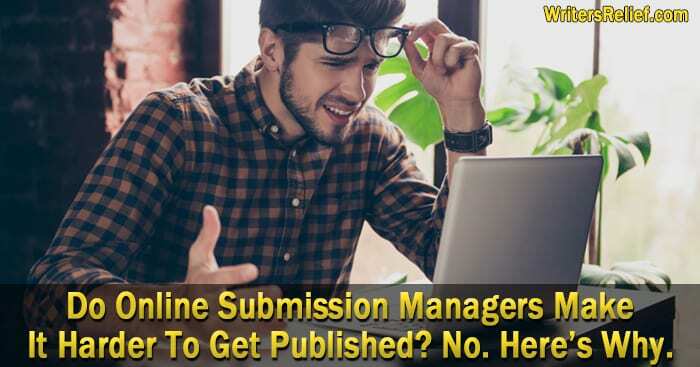 Since Writer’s Relief has been helping authors make submissions since 1994—the days of SASEs and postage stamps—we know firsthand the benefits of using online submission managers. But there’s also the other side of the coin: A recent article in Poets & Writers magazine suggests that since it’s so much simpler to submit work, everyone’s doing it—a lot—and the competition for acceptances has snowballed. Plus, most literary magazines don’t have the staff to sort through the avalanche of submissions in a timely manner. As a result, it’s taking literary magazines much longer to respond to writers who are competing for limited acceptances. Before you reach for the antacids, check out these reasons to feel good about your prospects for getting an acceptance from a literary journal. 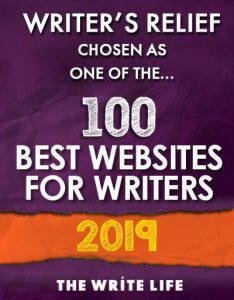 At Writer’s Relief, we specialize in getting our clients’ writing into the hands of the right literary editors and agents—and in the best possible shape. Our research experts know how to get your work to the top of the slush pile and increase your odds of success. We have not seen any kind of dip in our rate of acceptances from literary agents and literary journals. Since 1994, our clients have received 18,000 acceptance letters. In 2017 alone, our clients earned 73 individual Pushcart Prize nominations. In 2018, our writers have received over 915 acceptance letters from 237 different literary magazines and literary agents (and the year isn’t over yet!). Journals are not sending out fewer acceptances. So if your work is properly prepared and targeted, you’re still on track to get acceptances. 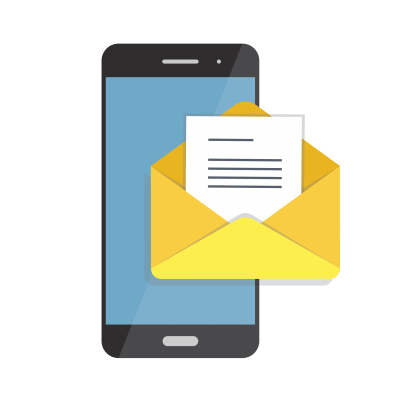 Because submission manager software has eliminated most major deterrents, many more writers are now sending out many more submissions. But that doesn’t mean it’s easier for them to grab an acceptance letter out of your hands. Here’s one of the dirtiest little secrets of the publishing industry: A large percentage of submissions arrive in bad shape and/or at the wrong journals. And the easier it is for “anybody” to make sloppy, misdirected submissions online, the higher that number rises. Practically speaking, there may be more writers than ever competing for literary magazine acceptances. But the number of viable submissions—from writers who have studied their craft and understand the publishing industry—hasn’t really changed. Unfortunately, this puts a terrible onus on readers at literary magazines, because they have to sort through the bulk of unsolicited submissions in order to weed out those from writers who haven’t perfected their craft or publishing etiquette. Often, readers will quickly jettison a “no go” submission based on shorthand submission red flags like these. But that doesn’t actually put any extra burden on capable writers. Literary editors will find you; it just might take a little more time. While there has been a shake-up in the publishing industry, the number of reputable literary magazines remains strong. Plus, there are many new kinds of literary magazines out there. Today, nationally distributed, crème-de-la-crème literary journals are still thriving. And so are small underground publications in local markets (we’re looking at you, Brooklyn!). And in between, there are worlds of reputable publishing options with lots of diversity in terms of subject matter, editorial interests, and prize nominations. Some literary journals experiment with mixed-media. Some publications focus on niche subject matter. Other literary magazines focus on the work of writers with certain backgrounds. And some editors strive to represent writers of a particular region. There’s no end to the variations. So here’s what this means: If you’ve written something that’s appropriate for publication, somebody out there probably wants to publish it. It’s just a matter of connecting through a strong submission strategy. How Can Creative Writers Improve Their Odds Of Standing Out In Today’s Literary Marketplace? It is entirely possible to outsmart the online submission manager mob. Let’s take a quick look at what you can do to make sure that your submissions make the cut. Write better. Study, take classes, read copiously, don’t rush. Embrace professional proofreading. Format to publishing industry standards. Understand the right way to compose a cover letter. Read up on publishing industry etiquette so that you know things like the best length for a short story, etc. Recognize that a strong submission strategy is a numbers game (we recommend that each piece be submitted to at least one hundred markets before revising or trying something else). Research literary markets with care. We recommend casting a wide net when it comes to making submissions—but never submitting inappropriately. Develop a consistent submission strategy (like the system we use here at Writer’s Relief). Track every submission you make and every editorial response. Know how to interpret rejection letters. Don’t quit. Submit, submit, and submit again! Good writers ARE getting published all the time. Our numbers here at Writer’s Relief prove it. Think you might need some help developing an effective submission strategy? Reach out to the pros here at Writer’s Relief! Here are some signs that professional submission assistance could be an effective way of advancing your writing career. You are the sort of person who would rather be writing than researching literary markets. You’re already overbooked and don’t have dozens of extra hours per month to develop a functional submission system. You feel like making submissions drains your vital energy and inspiration—which you could be using to write. You feel like your primary work as a writer is to focus on your writing; you wish somebody else could focus on the paperwork. You’re not especially comfortable with the Internet and the digital revolution. You’re good at writing but you’ve never really been overly disciplined about making submissions. You tend to procrastinate making submissions. You find that making submissions—and getting rejection letters—is disheartening to the point that you would rather not do it, even if your writing career suffers for your inaction. You find the whole business of making submissions generally unpleasant. Remember: Even with more writers submitting work to literary journals, a targeted submission strategy based on expert research CAN get you the results you want. Writer, Can You Help Us? What are your thoughts about the state of the current literary marketplace? Share your perspective and questions in our comments section. Join the conversation! Good writers ARE getting published all the time. Well, thank you for this! Well, this is true. online submission managers usually make their piece publish faster than usual. Carefully targeted good writing will still get an acceptance over lots of poorly targeted bad writing. It will just take journals longer to get through their reading and reply. The competition for acceptances has snowballed.